There is this nice lady whose work in Education and life I admire so much. My husband works with her. She is kind and has a lovely soul, one of those people we meet once ina blue moon. She happened to like some of my pieces and had a special request. I put the set up at my Etsy Shop feel free to take a peak at some other and unique versions I made in red. In case you feel like purchasing as a reader of my blog, please send a comment and you will be given a $5,00 off discount for the set as a thank you. Vintage Crochet baby Bonnet & Booties done! I sure hope she likes this set, made with love care and extra attention! Be happy little baby, welcome to the world! 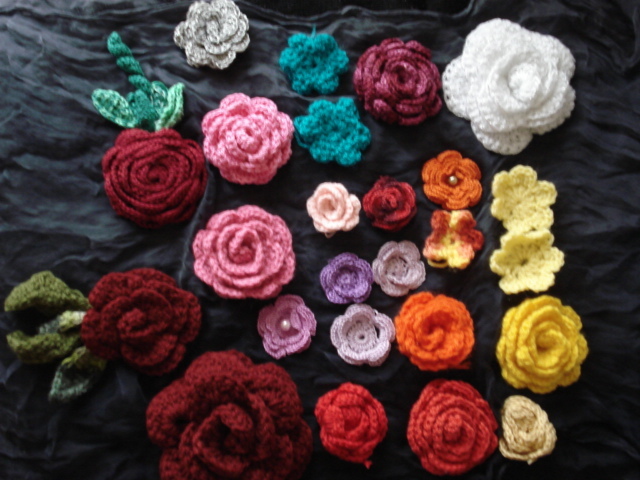 Crochet, flowers, Spring is here! I am doing great, hope you are too! Recently many things are going on in my life, I am writing a lot, though not in my blogs, I still think it is worth, so I go on pursuing something that I hope I let you know in the (near?) future. Anyway, it’s inevitable now, since most shops, TV ads, and even the weather (yes, here in Alberta, too) is changing. I know it is supposed to start to become more green, but up here for us things are just less “white”. Never mind though, I love it here, and the feeling of Spring coming back is so invigorating. 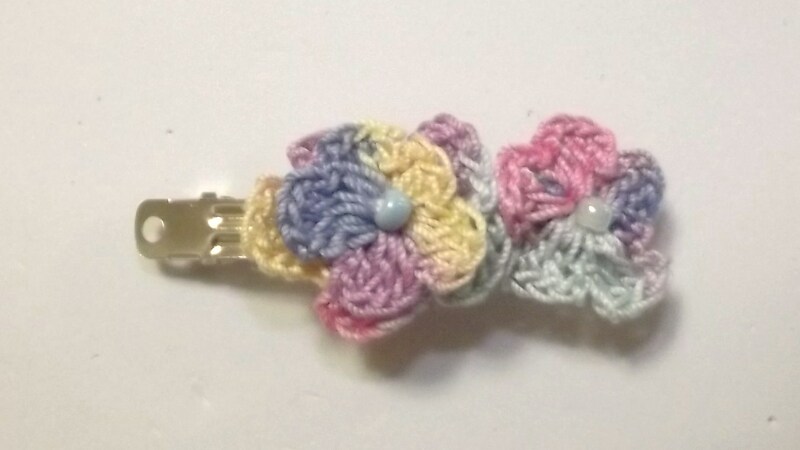 So talking about Spring today I got this newsletter with tons of Spring ideas -read flowers- and free patterns, it is from All free Crochet, they are here for us to enjoy! I keep trying to post constantly in my Facebook page is a faster for me, it has many images, free patterns I find on the internet and so, if you haven’t “liked it” yet, please do so you will be able to have even more fresh ideas,’ inspiring’ ones as I like to think of them. They are full of new ideas, and fresh ones that can boost our imagination make us finish off those yarns already used in some other project, so have fun! 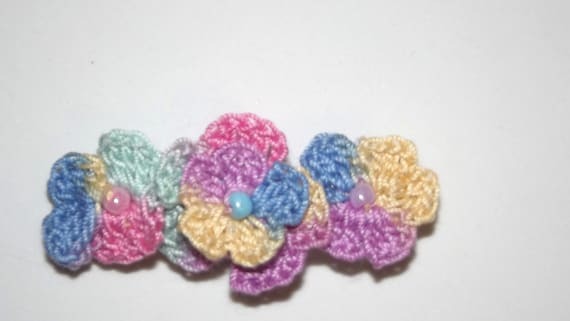 I believe you have seen the crochet flower barrettes I’ve made recently here for my daughter and for the girls here. 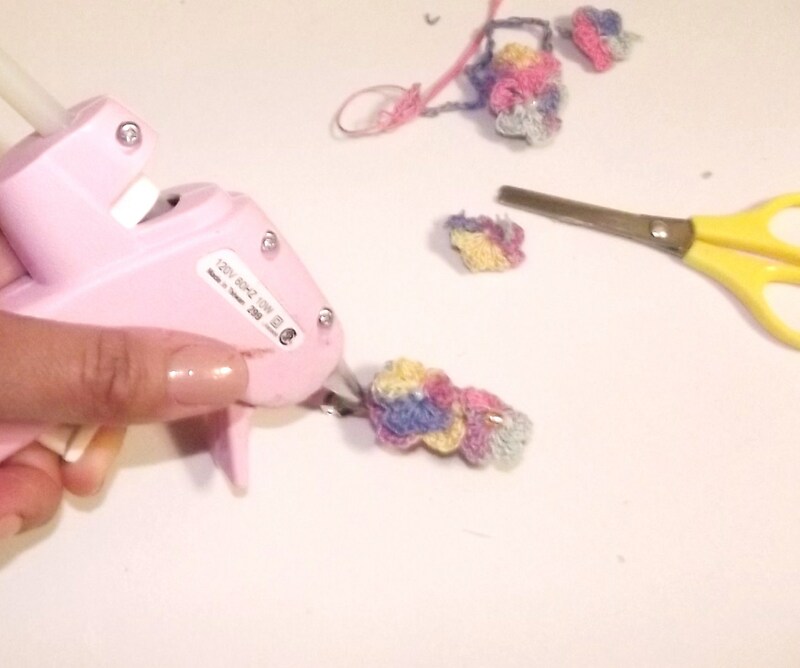 It is pretty easy to make, specially once you have done a crochet necklace, don’t like how it comes out, try to figure out what to do with it, and have a daughter with reasonably long hair. They definitely need as many different kinds of barrette they can possibly have! 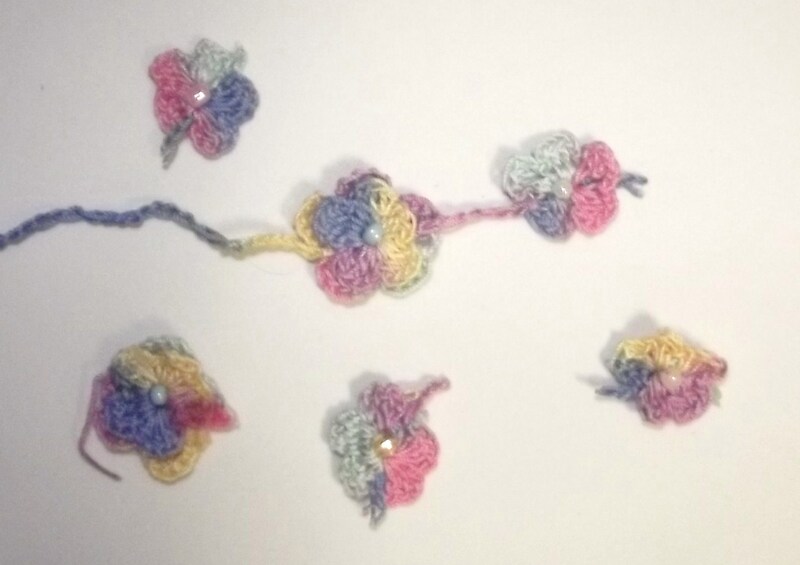 So enough talking, what you need is a crochet flower string, you can find ideas and patterns here, here and here these crochet atists are so talented I’m sure you will all agree with me or three small crochet flowers. First you arrange your flowers the way you believe is the best in the barrette. 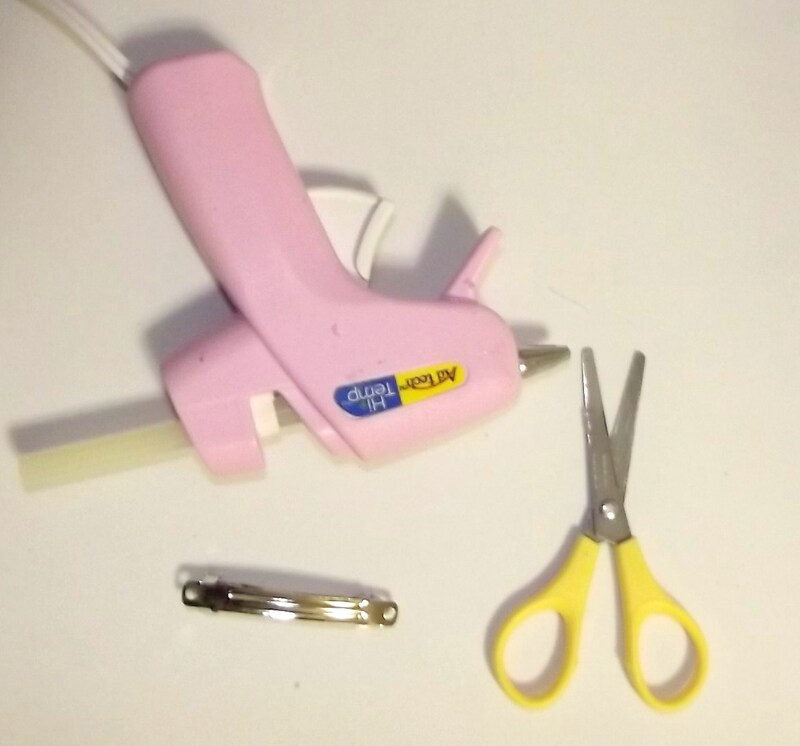 Now with the glue gun, glue each flower at a time. Allow a few seconds for each flower to set, then go to the next.When you are done, allow a few more seconds for your wok to be complete. A few months ago as I was having a chat I came across this elf’s hat request. 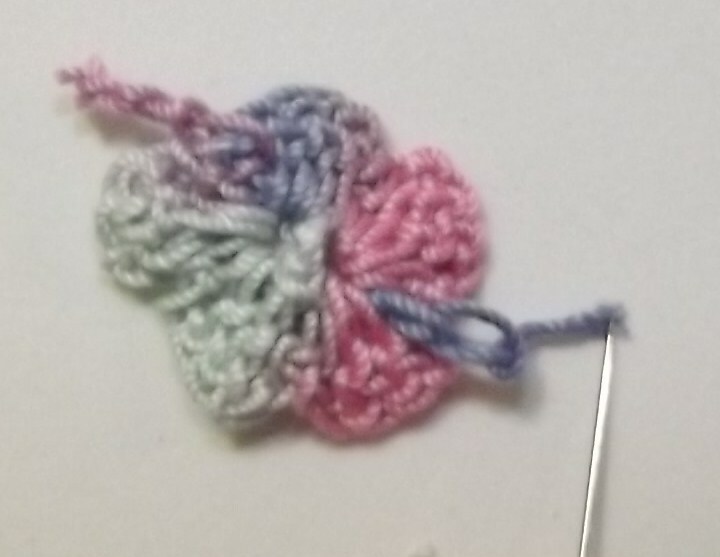 “Do you know those long tailed crochet hats that go along the babies bodies?” I had seen them, in Brazil they are not popular at all, but due to my passion for different things I had already seen those, and kind of gotten puzzled by the way they could be made. Well this person happens to be a neighbor, a model who is starting in the field of photography. We kind of made a deal I would find out and have one made for her, an in exchange she would take its picture for me. I did, sadly though she has not got the chance to have a baby that would fit its size for a photo shoot section. So I came up with, well maybe you could make the picture without the baby in there. She did and in fact she made an awesome work, so I hope you like it too. In case you fell like getting in touch with her the here is her facebook page http://www.facebook.com/jennaleightrappmann. 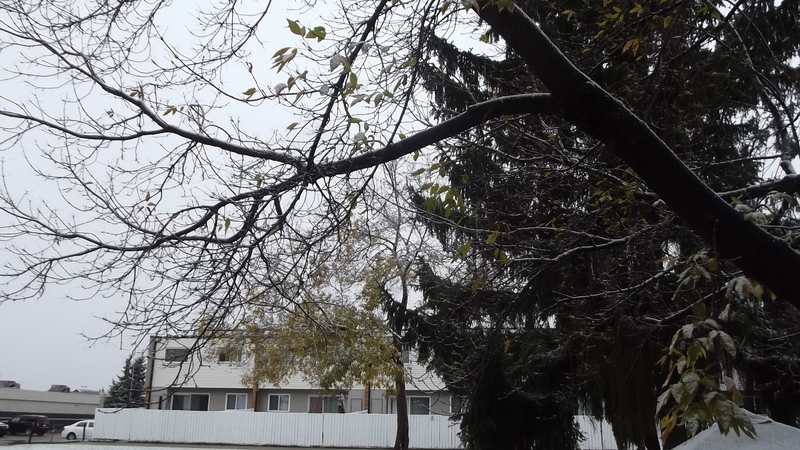 Yes, it is snowing, I kind of liked it, and part of me is mad at me for not having renewed my driver’s license, luckily the cold weather is above Zero -just above. Well in the midst of that I managed to make one more cap that I called Rainbow cozy -because of the ear flaps, and hope you like. Gotta go to bed, it is kind of late you know!